FabricCadabra is currently offering 20% off everything in the shop (except Outback Wife fabric). This includes their amazing selection of Peppered Cottons as well as some Cotton + Steel, Lizzy House, Art Gallery Fabrics, and others. If you haven't used Peppered Cottons, they are one of my favorites and this is a great price. Just look at those colors! Thanks for sharing an information about the FabricCadabra 20% off sale on everything in the shop except Outback Wife fabric. However, I am an assignment writer & tutor at Quality Dissertation where I am providing mcki assignment writing help to needy students who are lack in information how to write it professionally, and I too much shopaholic and always looking for such kind of sale related information. 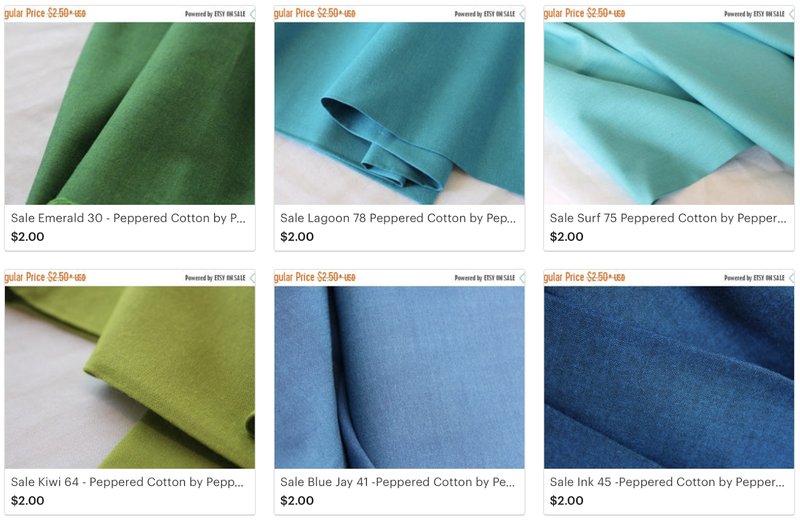 So I would love to say thanks again for sharing it and also providing brief information that it includes their amazing selection of Peppered Cottons along with some Cotton + Steel, Lizzy House, Art Gallery Fabrics, and others. Thanks for sharing an information about the FabricCadabra. Hello there! may i know how can i order this green one ? Its looking pretty much reasonable with the quality of fabric offered in such a discounted price.Students can even recieve cheap essay help from experience writer at Essay writing library. You will be able to reach your dreams correctly. Ben marsh is an online content material author and finance challenge help teach in best assignment help melbourne. Stunning, brilliant site design! To what extent have you been blogging for? you made blogging look simple. The general look of your site is magnificent,8 ball jacket for sale and additionally the substance!. Much obliged For Your work.